I took an hour on Monday to clean my Mulberry bag after a year of rejecting it. You are supposed to keep them clean and protected throughout all of the weather conditions, but sometimes I just dont have the time to sit and buff a handbag. Yet, for the money you spend on them, you really should take some time to look after it properly. These are the products I use to clean my bag, but they will work just as well on yours, designer or not designer if will not matter. If your bag is leather, smooth or textured, then these products should work perfectly for you, just check in their descriptions on the websites to totally make sure. The two products are from Collonil and are special leather treatments. 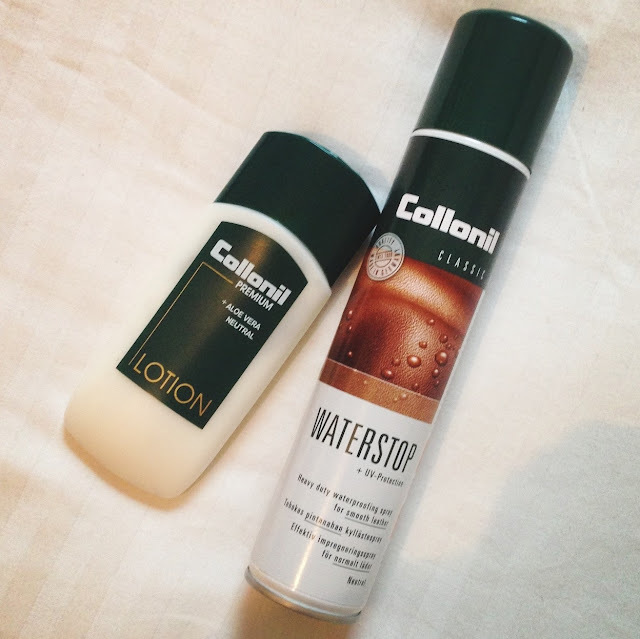 One is a lotion, the other is a waterstop spray. The lotion is fantastic at removing dirt and really bringing the shine back to the leather. 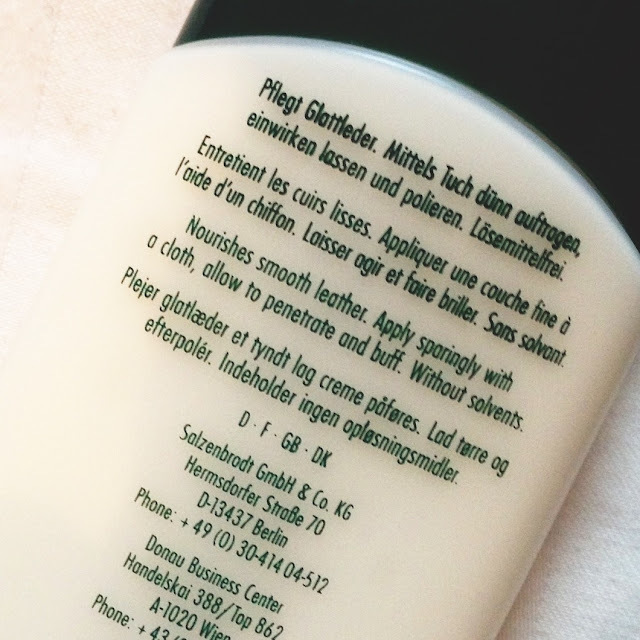 By applying pea size amounts to a cotton wool pad, I buff the lotion into the leather in circular motions, maybe cleaning a 10cm x 10 cm patch at a time. Then you need to use more product and continue to the next area. You can then use a cloth to buff the product in further and to remove any excess. But the shine it gives back to the leather is amazing. For instance, I totally fell out of love with one of my Mulberry bags, and after using this product on it for the first time, it looked like a brand new bag again. It is £11.22, but it should last you a long time really, and I really dont think you should scrimp when it comes to looking after your expensive designer bag anyway. 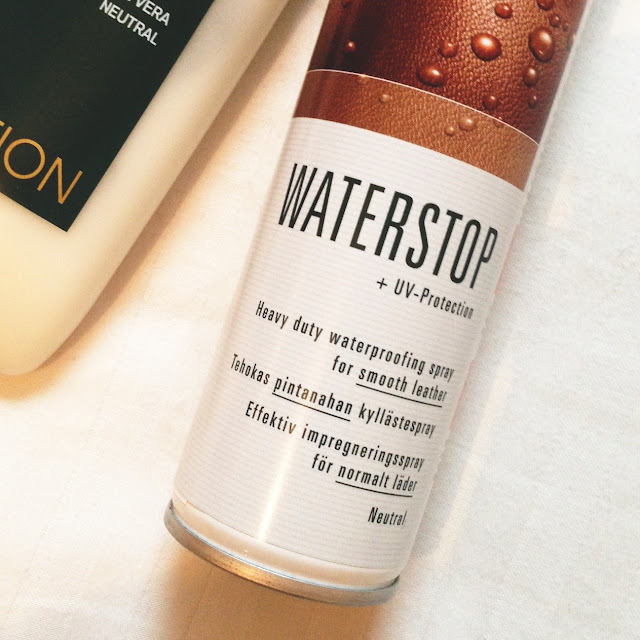 The waterstop spray is perfect for after your bag has been cleaned, to give it lasting protection. I spray this all over the leather after I have used the lotion and leave it to settle in. It will then protect your bag from the weather or anything you happen to get on it by creating a sort of coating. I also use this on my leather or suede boots and heels and it works amazingly. For instance, I sprayed it all over my suede taupe Jeffrey Campbells and ever since the suede has stayed perfect. Anything I do get on the suede can be easily washed or brushed off and the leather stays perfect, all due to the coating of the waterstop spray being on top of the fabric. I cannot recommend these products enough to you. They are all I use, and I have bought them a number of times. Just make sure you buy them from amazon or elsewhere rather than from the handbag retailer such as Mulberry, as their prices are much higher.